As the amount of data we produce increases, we tend to think the solution is to go big…but if you ask this company they have a different answer – go fast. Introducing Fastdata.io, the company that uses real time stream processing to combine CPU with GPU software allowing you to process data thousands of times faster than any software on the market. Looking to change how data is processed, the FDIO Engine opens up alternative possibilities to the batch processing we are used to. Named one of the most innovative AI Startups by NVIDIA, the company is heavily endorsed by futurist and philosopher Jason Silva and has grown substantially since being founded in 2016. LA TechWatch spoke with CEO and founder Alen Capalik about the company, its future plans, and its second round of funding, which brings it total funding raised to $6.5M. We raised a $5M Seed round that was co-led by CrossCut and Pelion Venture Partners with participation from existing investor NVIDIA. Fastdata.io is a real-time stream processing company and we’ll use the financing to accelerate the adoption of our high performance computing software, called FDIO Engine. 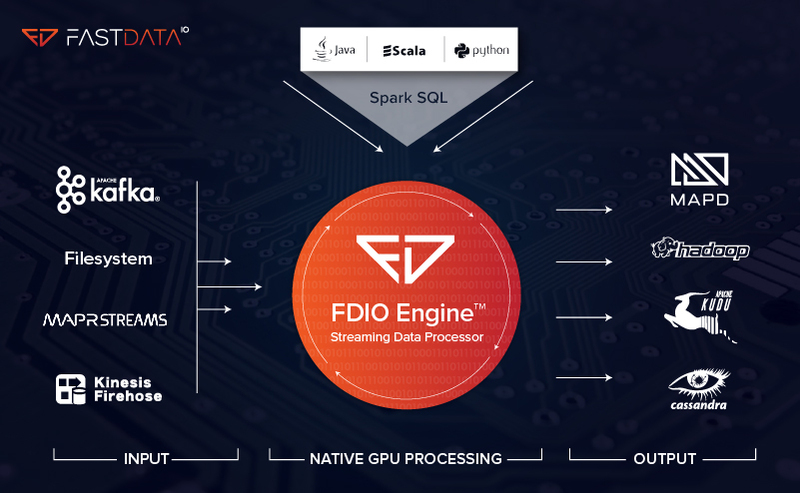 FDIO Engine leverages NVIDIA Graphics Processing Units (GPUs) to provide real-time stream processing of big data in motion. To the non-technical person, what does your technology do for their applications and use cases? 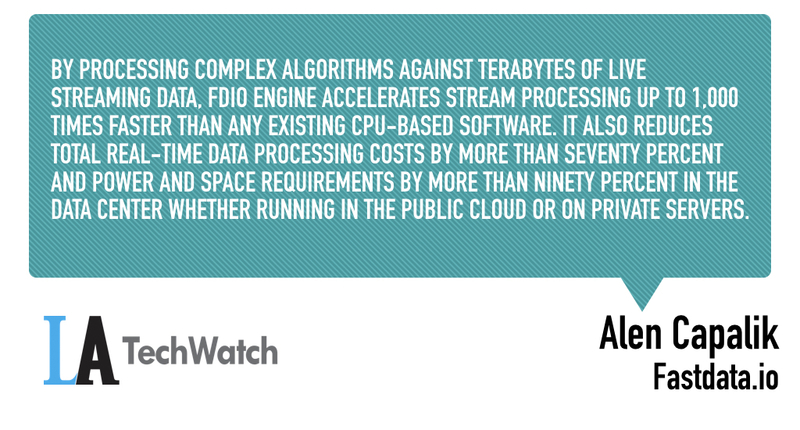 By processing complex algorithms against terabytes of live streaming data, FDIO Engine accelerates stream processing up to 1,000 times faster than any existing CPU-based software. It also reduces total real-time data processing costs by more than seventy percent and power and space requirements by more than ninety percent in the data center whether running in the public cloud or on private servers. This new level of efficiency will save billions of dollars in power costs while tremendously reducing greenhouse emissions. While big data has continued getting bigger, our power sources, processing capabilities, and storage capacity have not kept up with big data’s growth curve. There is no stream processing engine on the market today that is built from the ground up for both speed and efficiency. That’s why we created FDIO Engine. Traditional batch data processing, which used to take weeks or days, has been reduced to minutes or even subseconds with FDIO Engine. The rapidly evolving power of NVIDIA GPU technology, combined with FDIO Engine, provides the ability to leverage real-time data for business intelligence, more efficiently than ever before, and opens endless opportunities for growth and new revenue. The ability to leverage real-time data will drive multiple new technologies forward. We believe Fastdata.io will create endless innovative opportunities for businesses in industries that need real-time stream processing like finance, security, ad-tech, telecom, cloud, AI, Internet of Things, autonomous vehicles, and robotics. The Total Data market is expected to grow from $89.4 billion in revenue in 2017 to $146.1 billion in 2022, according to data from 451 Research. They also estimate that the Event Stream Processing space is poised to experience a CAGR of 19.7% over the next five years, twice the growth rate of the overall Total Data market. We offer a usage-based or resource-based licensing model plus a free community version. NVIDIA GPU Ventures were early investors into fastdata.io as they quickly recognized the importance of bringing real-time stream processing capability into the GPU-accelerated analytics ecosystem. 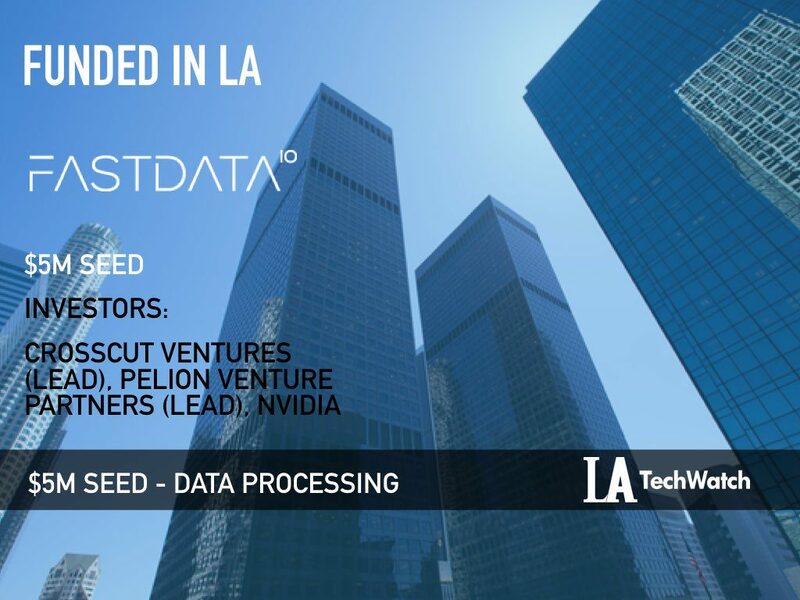 CrossCut invests in early stage LA-based companies creating new technologies, so fastdata.io was a natural fit for them. Pelion also makes investments in early stage companies focused on AI and software, so they co-led the round with CrossCut. We’re just launching FDIO Engine this week, but we have been beta testing it with a handful of companies. Our goal in the next six months is to grow our customer base across a variety of industries. Our goal is to encourage widespread adoption of FDIO Engine so companies have access to the world’s fastest and most efficient stream processing software to meet the critical and growing need for efficient, real-time big data processing.